AKIPRESS.COM - The world's biggest dinosaur footprint has been discovered in northwestern Australia, measuring at nearly 5 feet 9 inches (1.75 meters), the lead author of a study said. The track belonged to a sauropod, a long-necked herbivore. It tops a record 1.15 meter-long (nearly 3 feet 9 inches) footprint found last July. That footprint, found in Bolivia, was the biggest ever from a carnivorous dinosaur, CNN reported. "The giant footprints are no doubt spectacular," Steve Salisbury, the lead author of the study and a professor at the University of Queensland, told CNN of the record-setting fossil. "There's nothing that comes close (to this length)." 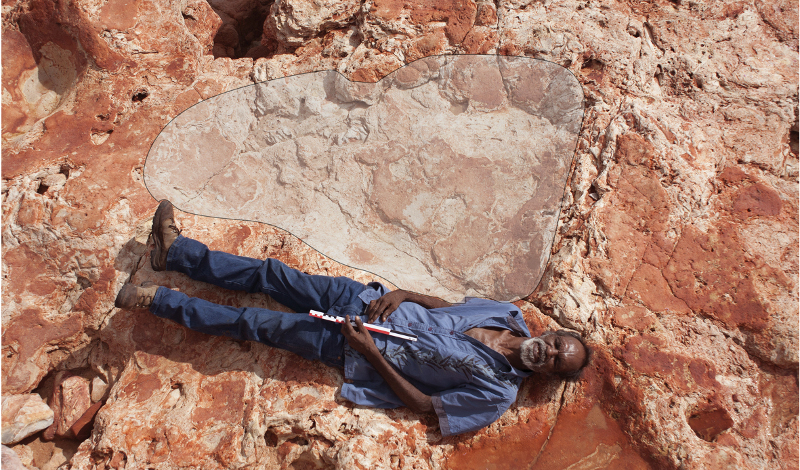 But the footprint was just one of a series of amazing finds in an area Salisbury dubbed "Australia's Jurassic Park." Twenty-one different dinosaur tracks were discovered across the Dampier Peninsula in the unprecedented" find, the University of Queensland said in a news release, with some rocks as old as 140 million years. Salisbury said the conditions on the Dampier Peninsula were ideal for both the creation of these tracks and their preservation, which is why the find was so spectacular. His team conducted more than five years of work in the area.